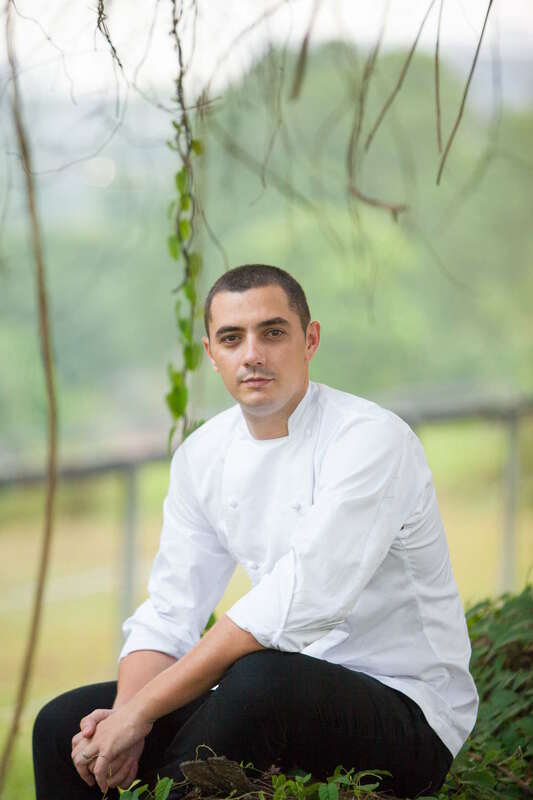 When Singapore dining destination Odette first opened in National Gallery in 2015, its chef and owner Julien Royer served the same signature dishes that made his former employer, Jaan, one of the city’s best. It was a move that earned him both praise and criticism, but back then (and presumably, until now) Royer was unapologetic. 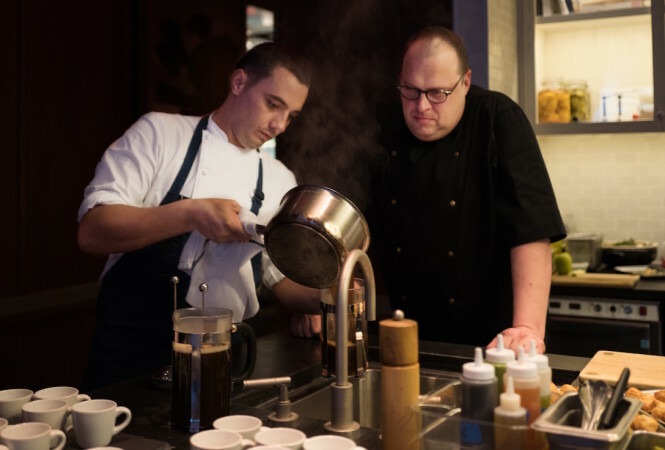 Fast-forward to two years after its opening: Odette has earned two Michelin stars and Royer has just finished a stint at Chefs Club, an intimate New York restaurant that hosts the world’s rock star chefs. For two days in New York, the 34-year-old Royer worked alongside his childhood hero, Didier Elena, and served up some of the dishes that Odette has been known for: Iberico chorizo, smoked potato syphon and buckwheat, and hay roasted pigeon with sweet corn, smoked onion, and a confit leg. 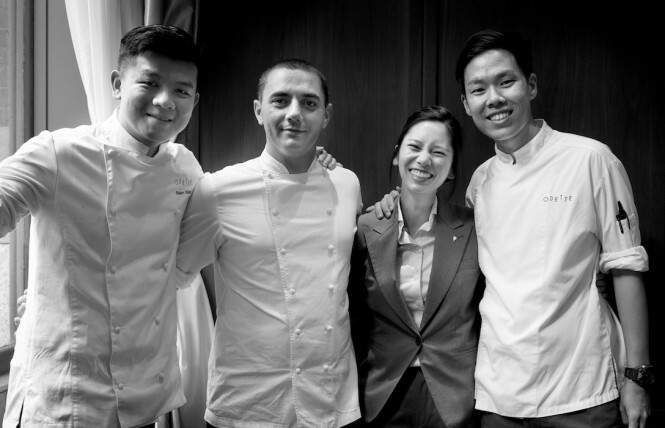 Royer is the first Singapore-based chef to be included in Chefs Club’s illustrious alumni, which includes France’s Hélène Darroze and Hong Kong’s Jowett Yu. 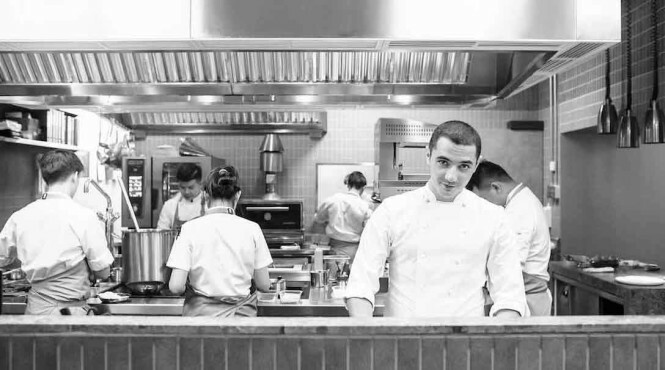 In an email interview, the French chef turned businessman talks about the legacy of his grandmother, whom he named Odette after, and the challenges of managing a restaurant. What led you to move to Asia, specifically Singapore out of all cities? I moved to Singapore nine years ago when the St. Regis Singapore opened. Singapore is unlike other cities I’ve worked in. It’s this tiny island, but it boasts the energy of a big city. It’s truly a place where East meets West, a melting pot of cultures and cuisines. What were the challenges you had to face during your shift from chef to restaurateur? I only took the leap to become a restaurateur in addition to being a chef in 2015 and I am still learning to juggle the two – especially striking the balance between what I need to do outside of the kitchen (meetings, emails, traveling, interviews) and what I want to do in the kitchen. Gordon Ramsay and Anthony Bourdain have mentioned in previous interviews that running a restaurant is challenging. In Singapore, restaurants close after a year or so. What are you doing in order to thrive in such a tough competitive climate? You don’t become a restaurateur by magic—it is a real job that takes years of training and experience. In Singapore, there are a few reasons restaurants close after a year. First is rent. Inevitably, landlords will raise it after your lease is up. Second, Singapore’s restaurant scene is very competitive. If you do the same thing as your neighbors, it’s difficult to get your share of the cake. Also, the prices of ingredients, produce, and wine are sky-high crazy – especially the artisanal boutique offerings that Odette is focusing on. Finally, there is a tendency for diners to bring their own wines to fine dining restaurants, when we already have excellent wine lists on our menu. This really hurts business as we fight to keep very reasonable margins on our wines. The reality is that rents will always be expensive in Singapore and the restaurant scene is changing constantly. But we have forged amazing connections with artisans and suppliers all over the world to provide us with the best ingredients to create the food we serve at Odette. And while job turnover rates in the F&B industry are very high, not just in Singapore, but globally, we overcome the challenges by looking inwards. 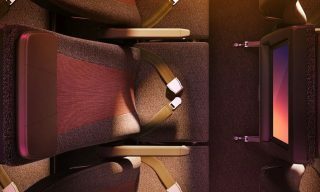 We invest in the growth of our team members by providing opportunities for training and experiences that would contribute to their craft. We at Odette are working hard to offer something you can’t find elsewhere, a unique experience. Part of the magic of a meal at Odette comes from not just the food, but also the wines that we have selected to complement our food. What was your grandmother like as a cook? My grandmother was my first mentor – she has defined my career and culinary philosophy today. One of my favorite childhood memories is of the hours I spent standing next to her watching her cook. No talking necessary. I just loved watching her. I would cook every day with her if I were not in school. Every weekend without fail, we would bake tarts and pastries together. Watching my grandmother cook, I realize the kind of joy and love you can demonstrate through food. The kind of emotions that can be passed through food was the impetus for me to start cooking. She cooked comfort food with lots of love, that’s who she was as a cook. I want to tell stories through my food. People want comfort. Particularly at a time when there’s so much chaos in the world, good food is always the best way to put a smile back on your face. The restaurant has won two Michelin stars. How do you stay on top of the game? How do you deal with the pressure? Awards are a fantastic recognition for us as a team, but not our top priority. At the end of the day, all that matters is the food. People want taste, they don’t want an intricate meal they need to analyze before putting the fork in their mouths. I’m incredibly lucky to have the best team, so we don’t deal with pressure: we focus on delivering the simple, genuine pleasure of enjoying a meal. Any award we receive as a result of our efforts is appreciated as an affirmation of our hard work.